I know it’s easy to just go with what you’re given when you sign up for your internet service. Your internet service provider (ISP – the people who supply your broadband), be it BT, Virgin, Plusnet, or another, will offer you a free ISP email address, and it can be tempting to just go with it. However, that’s a mistake if you think you will ever leave your broadband provider. And most people do at some point. You will move to a different ISPs at some point. As long as you’re using your ISP’s email address, you’ve tied yourself to that ISP unless you’re willing to go through the hassle of changing your email address and telling everyone you know. Although it’s possible to keep your email address, some ISPs will charge for the service. And arguably, broadband providers offer a free ISP email address to try and keep you with their service. Switching to a free webmail account like Gmail or Outlook means that your email address will always remain independent of your broadband provider. This means you’ll never be tied to an ISP that offers slow speeds, poor service or pricey deals. So it’s easier to change to a better deal elsewhere. If you really want to be flash, you could even set up en email address like firstname@surname.co.uk – contact me to find out how. And the best news? Setting up a webmail account is free and easy to do. You can even use a Gmail etc email address in the software that you’re used to, or use an internet page to view it. Start by choosing a free webmail service from one of the top providers. 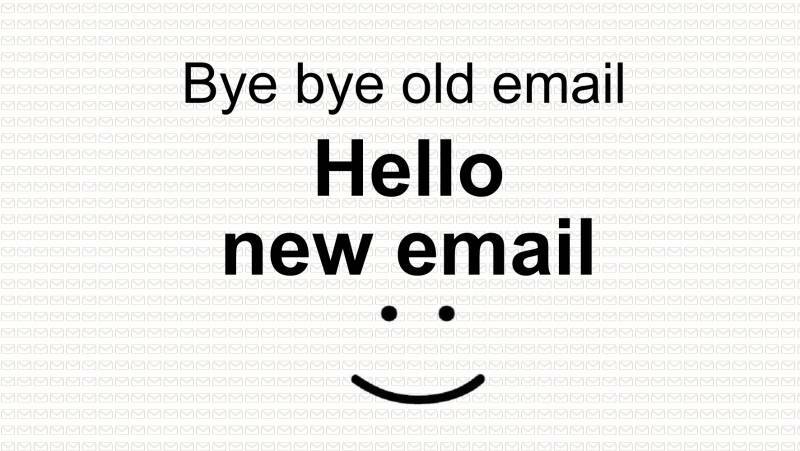 I’d recommend Gmail or Outlook.com as they’re easy to use and regularly updated with useful new features. Most ISP email accounts work using something called POP3. Basically, this means that your emails are downloaded from the provider’s servers and are stored on your PC. This is done via an email program such as Outlook Express or Windows Live Mail. If this is the case for you, the simplest thing to do is leave your old emails where they are. Even if you eventually close your ISP account and deactivate your old address, you’ll still be able to browse your previously sent or received messages by opening the email program. So your ISP email address and it’s content will be safe – you just wont be able to send or receive using the old ISP email address. In some cases, such as AOL, emails aren’t downloaded to your PC; they are stored in the cloud and will become inaccessible if you deactivate your account altogether. Don’t panic, you can get round this issue by migrating your old emails to your new webmail account. Before you begin, keep in mind that you’ll need to have access to the other email account for this to work. In Gmail, click the cog icon on the right, then choose Settings. Click the Accounts link then click to Add a POP3 mail account you own. Enter your old email address when prompted and follow the on-screen instructions. Can’t be bothered to manually type all your contacts into a new webmail account? Good news, there’s almost always a way to transfer your whole address book from your ISP email address in one go. To export your contacts from Windows Live Mail, for example, click Contacts, then click the Export button and select Comma separated values (.CSV). Click Browse, give the file a name and save it to your desktop by clicking Save > Next > Finish. To import them into Gmail, click Mail on the left and select Contacts. From the More menu, select Import > Choose File. Locate the CSV file and click Import. For Gmail, click the gear in the top right. Now you’ve got a shiny new email account it’s time to notify your friends of your new address and update your details on any online services you regularly use such as Amazon or your bank. Don’t forget to do this before you terminate your broadband contract; some services may send a verification to your old email address, so it will still need to be active. If you need help to set up a new email and transfer your old email stuff to the new one, remove personal information from pictures, please get in touch. One-to-one help is available in your home or over the internet using a secure link.